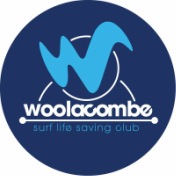 Woolacombe SLSC has adopted our parent body, Surf Life Saving Great Britain’s (SLSGB) Safeguarding Policy. This policy allows us, as a community of lifesavers, trainers, coaches, and sportsmen and women to actively promote and sustain a culture of safeguarding for young people and volunteers. Protecting young people and volunteers is a priority for our club. With a significant proportion of our members being under eighteen and with a high proportion of all our activities on the beach and in the pool involving young people, the need for well communicated and understood guidelines and then well delivered safeguarding is without question. We have a duty to act in the capacity of a reasonably prudent parent in our approach to safeguarding . We all have a duty of care to ensure we create a safe, equal and happy environment that enables our young people to thrive in our communities and to become the lifesavers of the future.